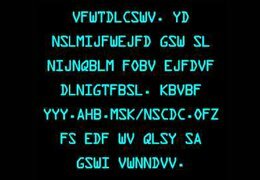 As they did last year, the FBI has again issued a code-breaking challenge. But this year, they say, the code is slightly more difficult. For assistance, they offer up a primer entitled Analysis of Criminal Codes and Ciphers.